While 64% of HR leaders indicate that partial automation of processes are in place at their organisation, a report by SilkRoad found that 72% of HR leaders still feel that a lack of automation is holding them back from business success. 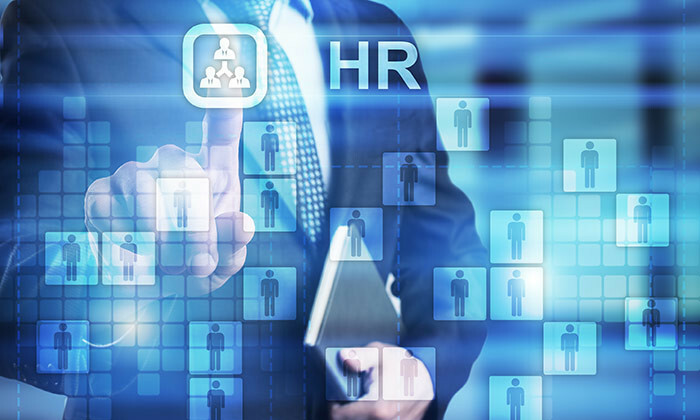 In the Human Resources April feature, we examined the various ways organisations are making use of HR technology as an enabler of their processes. However, with the rate at which technology is evolving, it is also necessary to plan for the future. Hence, we asked HR directors across Asia – what do you see as the future of HR technology? Read what they envision below. For all those on the HR side, or even those from the business, I always live on the mandate that you should work towards making your current job obsolete and move on to things that are of more value. HR typically attributes its lack of strategic partnering to the workload of admin tasks. In that case, the solution is very simple – resolve all these admin tasks. I’m not saying to ship them over to other people, but to look for different avenues from a technology standpoint or streamline the process. Though it’s very comfortable doing things the old way, I would advise leaders to take the time to revisit practices and processes – it’s just part of house cleaning to see if you can do things a bit differently. There’s always been this talk about HR being paper pushers, and the reality of that is because of a lot of the manual processing takes place just by nature. However, if you’re doing payroll, there’s no reason why you can’t email it, or have a shared inbox, so people don’t always have to come over to the HR department, or they can drop a comment in the shared box and anyone in the team can answer them. You can make use of platforms to post information, and when all these things are done, then HR doesn’t have to run around doing these non-value-added admin tasks. I think we’ll see technology usage increase across the board. Applicant tracking systems will continue to become more interactive and engaging. At the same time, online platforms, including social media, will open up new and exciting channels to communicate with candidates and employees. I also believe mobile technology will continue to impact the candidate experience. In that vein, we are exploring the development of an ‘interview app’ that will provide candidates with all the tools they need to succeed at interview straight to their smartphone. And of course research into candidate drivers and behaviours will build on the Skype/ video conference experience and online community platforms to generate critical talent acquisition data. I think the trends in the technology space are towards mobile and social media. I feel that the future of HR technology will dramatically affect how HR performs. In the next six to eight years, we will look at three main areas. Firstly, cloud computing. This will allow companies to carry out processes quickly and efficiently. There is also no additional hardware investment needed for it. From staff benefits to leave, time attendance and payroll, most things can be done on the cloud. Secondly, mobile and tablets. As the workforce becomes more mobile in nature, I think HR software has to evolve to meet the way employees connect with the office and HR department. Things like responsive design and mobile optimisation is likely to dominate the landscape in the future. The interface is likely to create more employees as end users. When trying to come up with something, I think HR and tech designers should take this into consideration. Last but not least, social media. It is expected that HR will use social media as a way to engage employees. I think it provides a platform for the gathering and sharing of information as well as engaging employees in the process. Another benefit is that it enables HR to notice staff responses and use appropriate measures to re-engage and refocus if required.